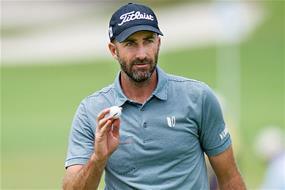 Geoff Ogilvy, former US Open champion and winner of three World Golf Championships, has confirmed he will compete in the 100th New Zealand Open in Queenstown next month. Once ranked as high as number three in the world, the 41-year-old Australian will compete in the New Zealand Open for just the second time. The opportunity to play at The Hills and Millbrook Resorts from 28 February to 3 March comes off the back of Ogilvy’s decision to relocate his family back to Melbourne after two decades based in the USA. “The New Zealand Open is seen by golfers internationally as a fantastic tournament. They say Queenstown is the prettiest place in the world - I’ve never been there so I can’t wait. Professional golf can put you in a box and when you play in the US it’s just easier to stay there. It hasn’t really been possible to compete in the New Zealand Open – but it is now and I couldn’t be more excited,” says Ogilvy. Ogilvy has won 12 times as a professional including eight occasions on the PGA Tour, culminating in his victory at the US Open in 2006. He was 4th in the 2011 Masters, 5th in the British Open in 2005 and 6th in the PGA Championships twice. Overall, he spent two and a half years in the top-ten world rankings. “We are delighted to attract someone of Geoff’s calibre to this event,” says Tournament Director Michael Glading. “For two decades he has been one of Australia’s most successful players in Europe and on the PGA Tour. We are confident he will enjoy the experiences on and off the golf course in Queenstown. Geoff is a student of the game and I know he is mindful of the great players from his homeland who have left such an indelible mark on the New Zealand Open Championship in the past,” he says. With its long history, the New Zealand Open is rightly proud of its reputation for attracting elite, international golf professionals such as Ogilvy to compete in this world-class tournament. Ogilvy competed at the 1999 New Zealand Open at Formosa but it is not how he wants to be remembered: “The wind blew 100 miles an hour, it was my last tournament after nine in a row and it was one tournament too far. I didn’t make the cut - so let’s call this my first time properly at a New Zealand Open,” he jokes. “I am done playing 26 to 30 tournaments a year at least for the next few years. If I play well, then absolutely I will likely play a bit more but if I don’t, then I’ll focus more on my golf architecture business and my media work. It is an exciting period but I will always be a professional golfer. I am always going to play a few tournaments every year,” he says. Ogilvy will compete for the 2019 New Zealand Open Title and $1.3 million prize pool in a field of 152 players. Simultaneously, a pairing of one professional and one amateur will play a best-ball format for the New Zealand Pro-Am Championship, making it a unique event within the Asia-Pacific region. The event is co-sanctioned by the PGA Tour of Australasia and the Asian Tour, and in partnership with the Japan Golf Tour.